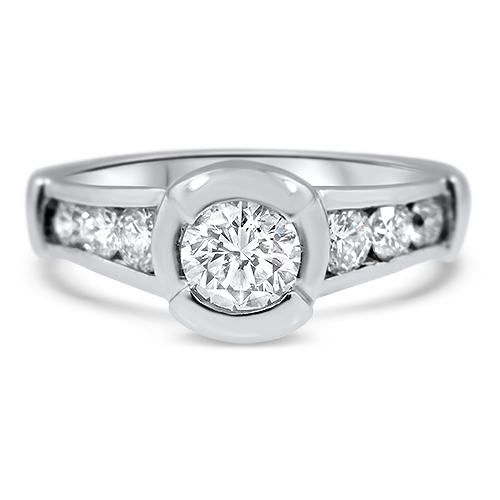 0.40ct Round Brilliant Cut White Center Diamond with 0.44cttw Diamond Accents. 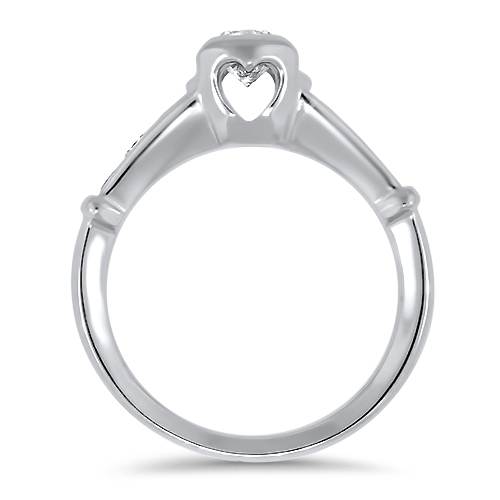 The center diamond is set in a split bezel with a cutout heart profile detail. 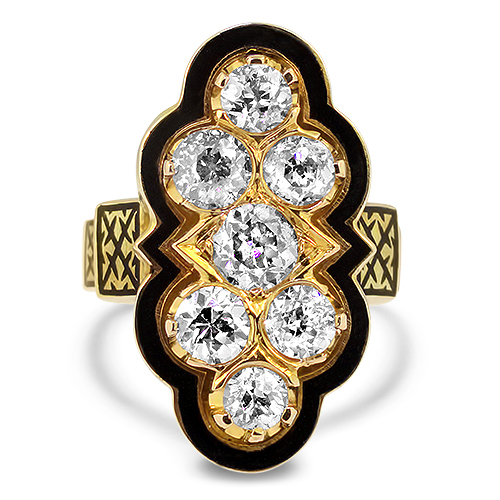 The side diamonds are round brilliant cut and channel set down the shank with three on each side of the ring. 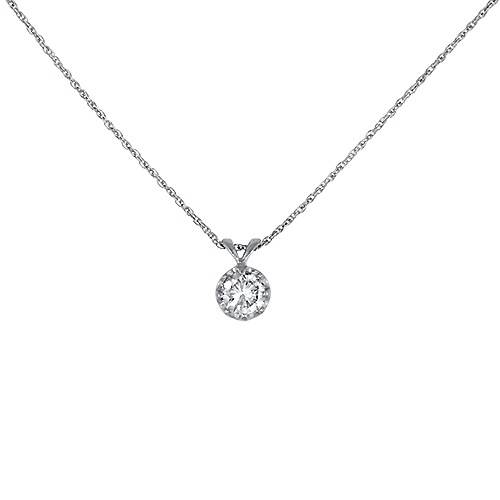 The mounting is Platinum. 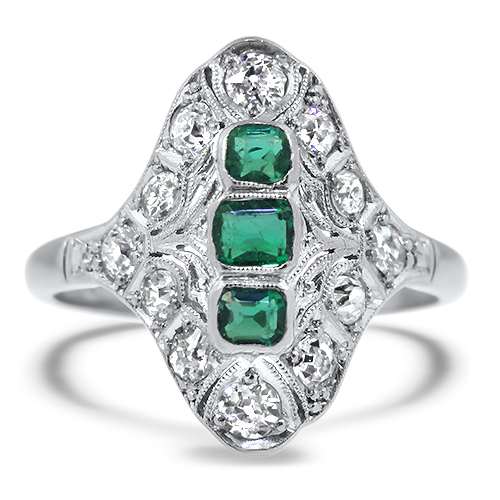 0.60cttw Triple Emeralds bezel set north to south in 18K White Gold ring with 0.60cttw Diamonds accents around the emeralds.